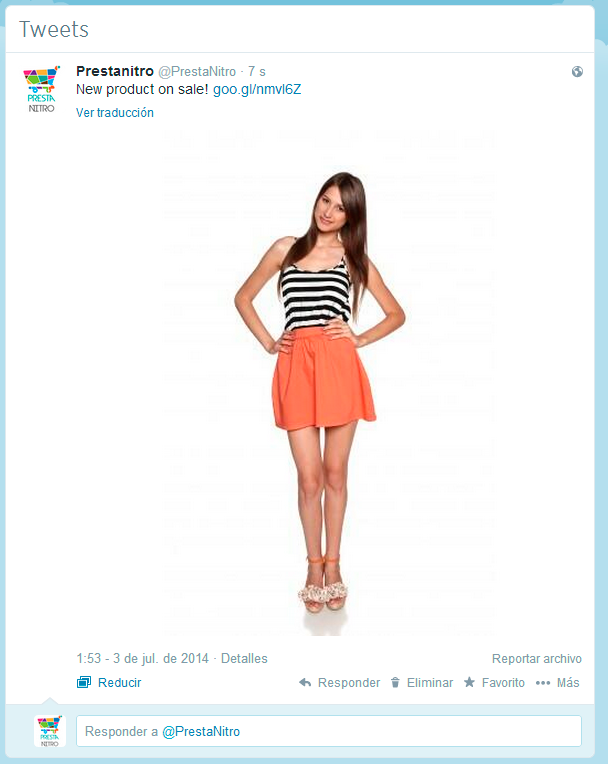 PrestaNitro Twitter autopost is a Prestashop module which allows you to publish ads in Twitter automatically when a product is on Sale. Connect with your clients easily and quickly. - Range of time of the post. - Configure the amount of ads. - Configure the text of the ads. - Include a photo of the products. This module has been tested on Prestashop 1.5 and 1.6.